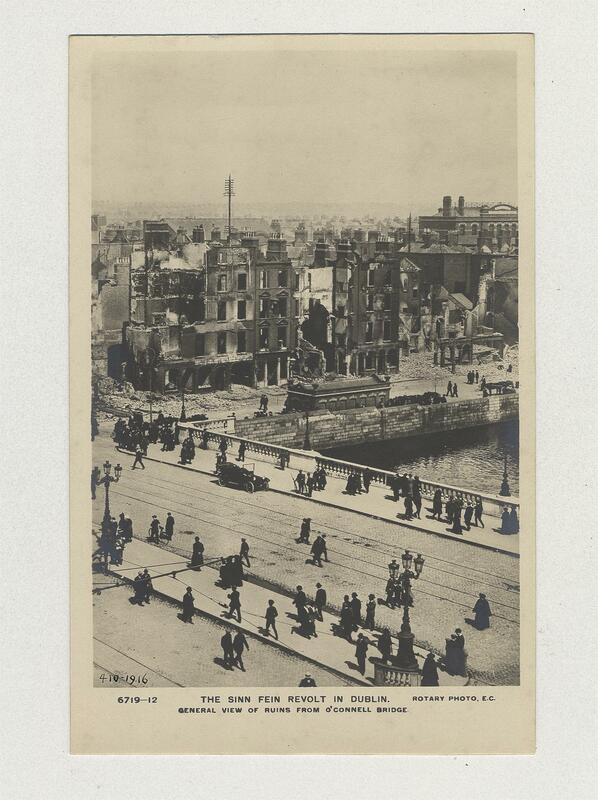 Easter Rising postcard showing 'The Sinn Fein Revolt in Dublin - General View of the Devastated City.' Rotary Photographic Series. Note the postcard states a Sinn Fein rebellion - these postcards were published soon after the Easter Rising rebellion and the printers and publishers make an error in labelling it 'A Sinn Fein Rebellion.' One of a set of six.